What Are Craze Lines, and How Can You Get Rid of Them? Ideally, you will have clean, healthy teeth and a fresh, bright smile for life. 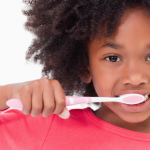 Unfortunately, disease and damage can still occur even if you do your best to stay on top of your oral hygiene habits. For this reason, the team at Penn Dental Medicine recommends brushing up on the possible conditions your teeth may be at risk of getting. Let’s begin with craze lines. What are they, and how do they differ from cracks in teeth? Before discussing these oral conditions, it is important to note that not all tooth chips or cracks are the same. Craze lines and cracked teeth are two common types of chipped teeth; the other types include a fractured cusp, a vertical root fracture, and a split tooth. The category your broken tooth falls under will impact the type of treatment and specialty dental service you require. A cracked tooth can impact the entire tooth, from the surface enamel to the nerve, and worsen without early treatment. 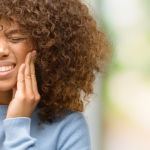 There are many reasons for a tooth to crack, including bruxism (teeth grinding), previous dental work that may have weakened the tooth, or trauma that damaged the tooth. A crack that extends below the gum line, or one that is never treated, will likely need to be removed altogether. Craze lines, on the other hand, are not considered a dental emergency. These lines are much smaller cracks that can be seen in the outer enamel. They do not cause pain as a cracked tooth might. While not detrimental to your physical health, the visibility of craze lines can cause affected patients to feel dissatisfied with their smile. More importantly, craze lines indicate an underlying condition, such as teeth grinding, nail biting, or extreme change of temperatures in the mouth. If you are unsure whether or not you have a cracked tooth or a craze line, schedule an appointment at Penn Dental Medicine in Philadelphia. 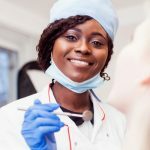 One of our highly trained and professional student dentists can evaluate and diagnose your condition under the supervision of a faculty member. If you have a crack that impacts the entire tooth, your student dentist will determine if it can be saved and which repair option would be best for you. What if you have craze lines rather than a crack? If you are wondering how to “get rid of” craze lines, the dentist may point you to some cosmetic options to conceal their appearance, such as teeth whitening if the lines have become stained. 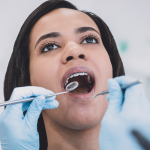 However, your student dentist will focus primarily on how these lines formed and what habits you may need to alter to prevent more from developing. 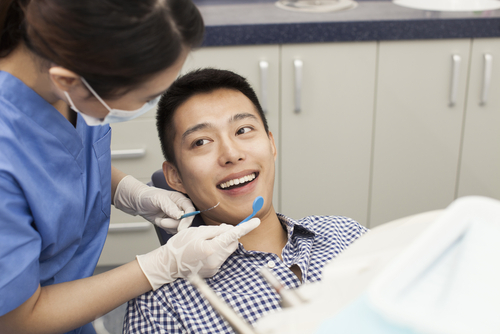 No matter your dental needs, the University of Pennsylvania student dentists are available to provide top quality care at an affordable price. To learn more about craze lines, schedule an appointment today or contact us at 215-898-8965.